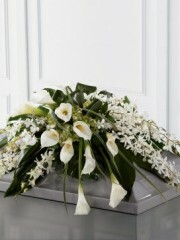 Ellon Flowers is able to offer a wide variety of casket tributes for you to choose from for funerals. Our large range means that we are sure that we can offer something to suit all tastes. Our beautiful range of funeral flowers arranged by florists in Ellon can add a touch of grace and elegance to funeral proceedings. Ellon florists have over 40 years of experience in the floristry industry, which ensures that your order is in skilled and experienced hand. 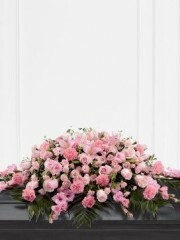 Our florists would also be happy to help provide any advice you may need concerning your order, and we recognise that funeral flowers are something of great value to you, which is why they are hugely important to us. Flowers Ellon also provide a fantastic local flower delivery service in Ellon and the surrounding area, but we are not limited by distance. 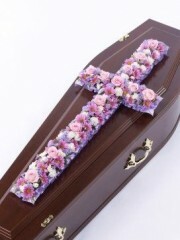 As Ellon flower delivery is part of the Interflora brand we are able to deliver your funeral flowers and casket tributes all over the UK. Not only are we able to do this, but we are also able to deliver internationally to 140 different countries across the world. This means that even though you are ordering your flowers in Ellon, they can be delivered anywhere you might want. Our dedicated team working at Flowers Ellon will carefully oversee your order throughout every step of its journey, and you should not hesitate to get in contact should you have any enquires. Here at Ellon Flowers we can cater to all of your funeral flower needs, making your purchase as easy as possible during this difficult time. 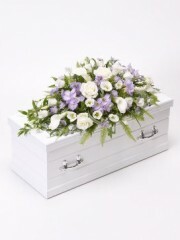 We are confident that our funeral flowers and unique flower delivery service will provide utmost satisfaction. Flowers can always be counted on to provide beauty and grace, so please count on Ellon flowers to deliver you the funeral flowers you need. 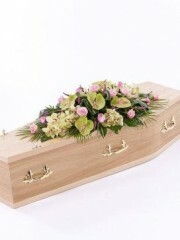 Our stunning range of casket tributes is sure to appeal to a variety of tastes. 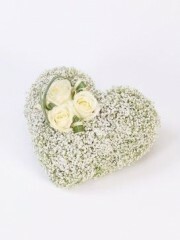 Ellon Flowers are proud to provide such a unique range for you to choose from. Whether you are looking for something small and simple or larger and more complex, we can offer you whatever you might need. 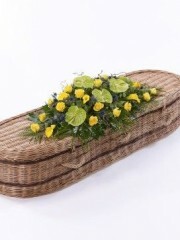 Flowers are a perfect and beautiful way to pay tribute to someone at the funeral, so ordering a casket tribute from the florists in Ellon is a wonderful step in organising a funeral. 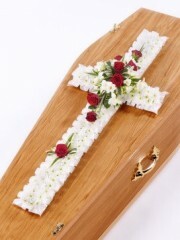 We can offer a range of crosses and casket adornments here from Flowers Ellon, which adds style and grace to the casket. 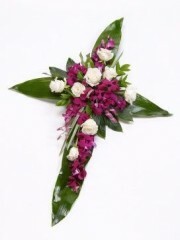 Our classic crosses in different colours and our elegant orchid cross are stunning additions to any funeral service. 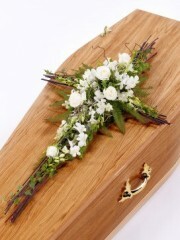 The florists in Ellon also provide funeral flowers in the form of casket sprays, some of which are simple and stylish and others of which are vibrant and unique. 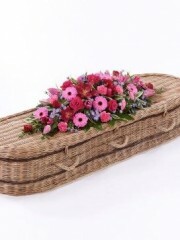 For the perfect casket tribute there is no need to look any further that Ellon Flowers to cater for your every need. We recognise that at this difficult time you need as the least stress possible, which is why the florists in Ellon provide a flower delivery service based on efficiency and simplicity. 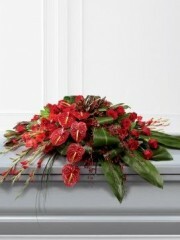 Our flower delivery service is secure and fast, and we are even able to provide a same day delivery service if you order your products before 3pm, meaning your funeral flowers can be with you as soon as possible. 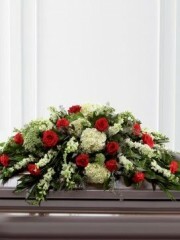 Here at Ellon florists we are proud to offer you a variety of special funeral flowers, and will deliver them to you with ease and efficiency.